In a paper published in the journal Viruses, researchers show a pioneering technique, named single-virus genomics (SVGs), which consists of separating a single virus by flow cytometry, breaking its capsid, making copies of the genome and sequencing its DNA to be able to identify it. Researchers have applied this technique to saliva samples of 15 volunteers and have managed to isolate 1,300 viruses and amplify the genome DNA in around 200 viruses. This way they have discovered eight new viruses, which are predominant members in the viral communities of the samples analysed. Results suggest a variable, complex and different virus profile in each person. 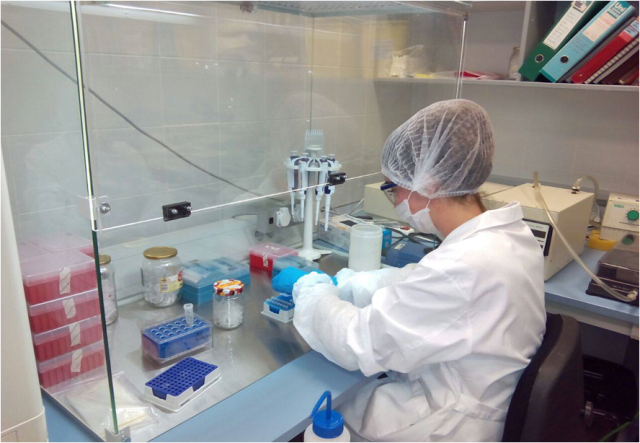 Researcher Manuel Martínez, currently in an advanced stage of the project, clarifies that "we are focusing on comparing the changes that occur in these viruses, and also bacteria, present in the saliva of healthy and sick people with certain underlying diseases such as various immunodeficiencies". "The study is an example of the potential of this new technique to reveal genetic diversity of viruses in the human body since it could be implemented with any liquid sample," Oscar Fornas concluded. They already used SVGs in the past as reported in Nature Communications in 2017. In that study, this new technique allowed scientists to discover abundant marine viruses impossible to grow in the laboratory because of the technical difficulties involved. After demonstrating that this technique allowed them to study the ecology of groups of viruses in aquatic samples, they made the decision to address the viruses present in different ecosystems, such as the human body.